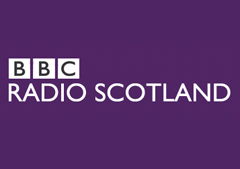 Comrie will feature on BBC Radio Scotland tomorrow. The show runs from 6am-8.50am. It seems that many people have contacted the show and want to know how the community is now following the flooding disaster. So Hugh William from the BBC was in the village today speaking to a number of people. So listen in if you can.